with over 17 yrs experience in both private practice and industry consulting. Sally was inspired to become a Clinical Nutritionist through her personal battle with several chronic illnesses, including Chronic Fatigue Syndrome, Hashimoto’s (autoimmune, underactive thyroiditis) Lupus SLE and a pituitary adenoma. Using nutritional and herbal medicine, combined with an anti inflammatory diet, Sally was able to not only recover from these conditions, but go onto achieve an optimal level of health and vitality that has remained with her today. After being offered no effective long term treatment options through conventional medicine, other than pharmaceutical medications that failed to treat the underlying cause of her health issues, Sally set off to conduct her own research towards finding a cure for her debilitating health problems. Her research lead her to discover the link between diet and the digestive system, and how these play a pivotal role in healing from any health condition. 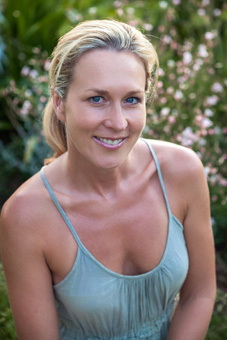 Since qualifying as a Clinical Nutritionist, Sally has worked with thousands of people in her practice, helping them to overcome a wide variety of health conditions and illnesses, through applying the very same proven dietary & nutritional medicine protocols she used to heal her own body from chronic illness. Sally has been consulted by international model Miranda Kerr, professional sports teams and athletes – including seven times world champion surfer Layne Beachley & Tom Carroll, former Australian Cricket captain, Michael Slater, members of the international Quicksilver pro surf team, St George rugby league, members of the NSW Warratah’s rugby union and Kellog’s Iron men and women, Australian model Lara Bingle, Kirk Pengilly from INXS, Young British Artist, Tracey Emin, along with cast & crew from Mission Impossible, Matrix Trilogy, Moulin Rouge and Superman – The Return and celebrity journalist Sarah Wilson – who was inspired to write I Quit Sugar after undergoing Sally’s Eat Yourself Healthy Program. Sally’s strong technical background and years of extensive clinical & personal experience, lead her to develop a unique and effective treatment program – available in her popular e-book – Eat Yourself Healthy, and 6WK online nutritional coaching program – which educates participants on how to target the root cause of any health condition and achieve lasting results, through healing the gut. Natural alternatives to managing high blood pressure and cholesterol. “The ultimate key to success in reaching our true health potential & avoiding disease, is through healing our gut and digestive function, in combination with eating the right foods and adopting true balance in all that we do. This can only be accomplished through acquiring the right knowledge to understand how food & lifestyle choices influence the function of every cell in our mind and body. Only then can we truly take charge of our health and experience the energy and vitality we desire”.